SN# 1459744 is not in the SRS . I would love to hear more on this one. I have serial 1459600 that was a NM rifle shipped to the Marines. It had to be either a 1935 or 36 NM. I can't really say for sure which year. But it didn't have a factory SA hatcher hole. The Marines drilled one. So I do not think it was in the 1937 shipment to the Marines. If you don't mind me asking what is the barrel date on yours? Barrel date is 1935 but I'll have to look at the month when I get home from work. Check out serial number 1459731 on the NM in the link below that sold in 2006. A few photos of mine. Condition is a strong 99%. Condition is a strong 99%. Such a nice looking rifle...old and perfect. I can't thank you enough for posting that. That helps me a lot. 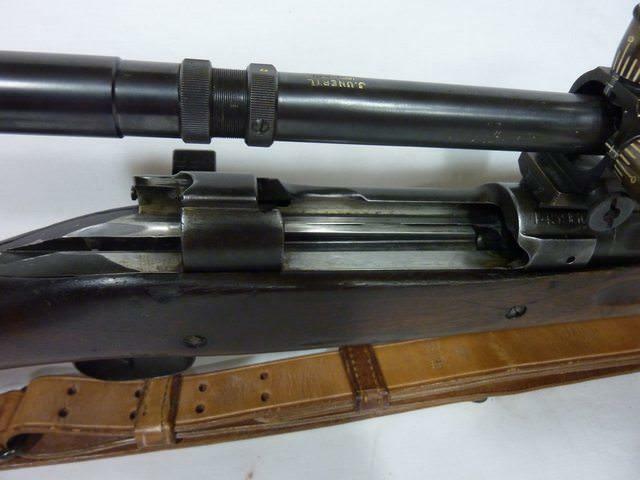 I had seen that other one with a 1935 barrel and always assumed mine had been a 1935 NM as well. 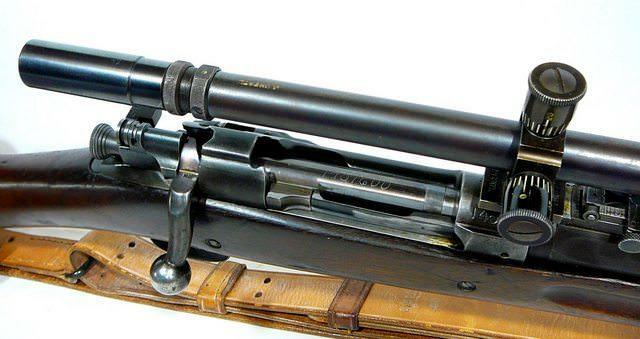 Seeing another one with a 35 barrel just make me think it is even more. But these 1935 NM seem rare as hens teeth. Your's is only the second one I have ever seen. I will never be able to know 100% because the Marines like with most of their NM rifles, rebarreled them. So now it's sporting a 1938 dated barrel. So I've always assumed it was either a 1935 or 1936 NM, because it never had a factory Hatcher Hole. The Marines drilled it. The Marines did receive 100 NM in 1935 and 150NM in 1936. Here's my rifle 1459600. Mine was rebuilt by the Marines into a Special Target rifle (rebarreled NM rifle). 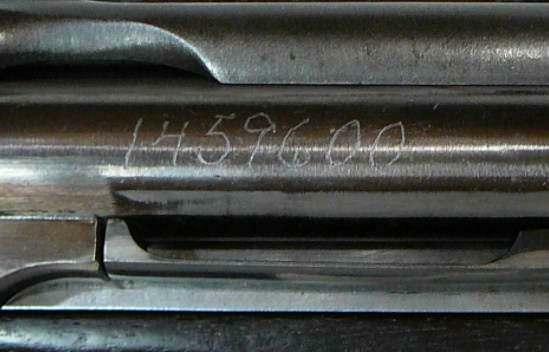 The polished bolt was blued by the Marines in a July 1942 order, and the scope mounted probably in early 1943. One other thing I would be curious on. How does the writing characteristics of my numbered bolt match yours? Usually I see a distinction in the way the number 4 is written. I've always sort of though my bolt was numbered by SA and not the Marines. But the Marines bought replacement NM bolts and numbered them. So I'm just curious how does this number's witing style match yours? I was trying to look at your pics and I couldn't tell for sure. By the way that is a beautiful NM!! Mine does not have the Hatcher Hole. Other than a couple of tiny stock dings my NM looks as issued new. I just wish there was some sort of documentation available on it.